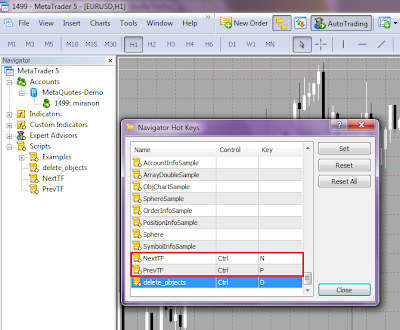 With this little scripts you can change the current timeframe in Metatrader 5 to the previous or next timeframe, for example H1 <- H2 -> H3 with a custom hotkey. Close the properties windndow and test it out. Cool isn't it? 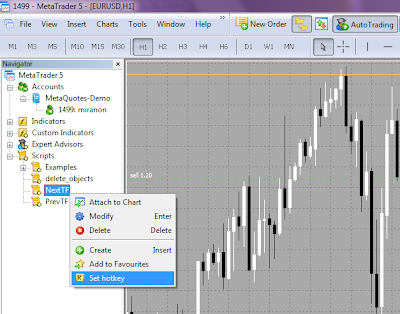 BTW, you can also add a hotkey to the Delete all Objects Script, in my case this is Ctrl + D.